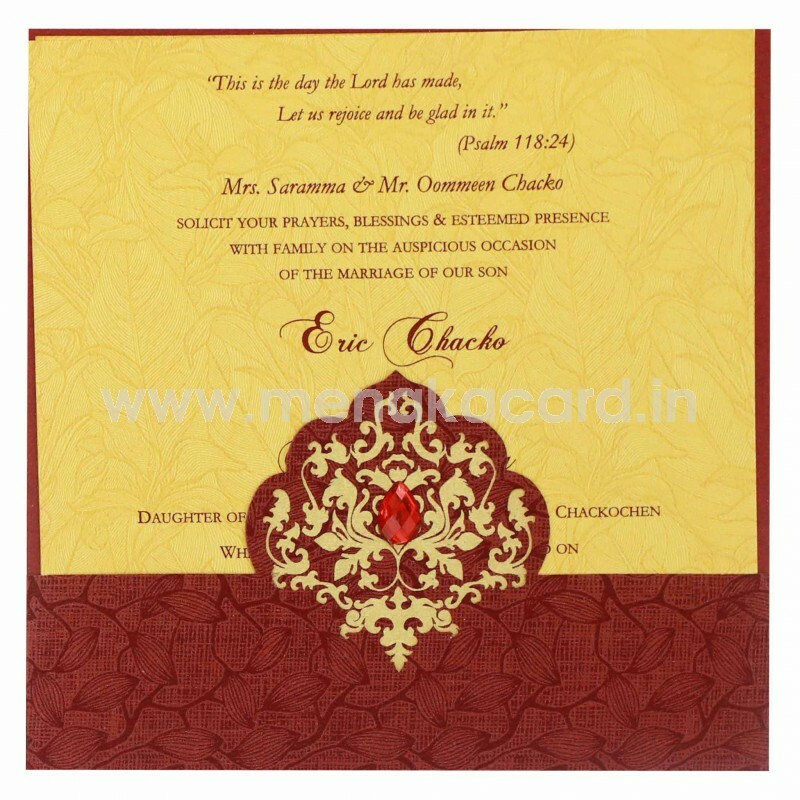 This Elegant floral print pouch model card is made from a maroon semi matt finish shimmer board material with maroon lancer designs. 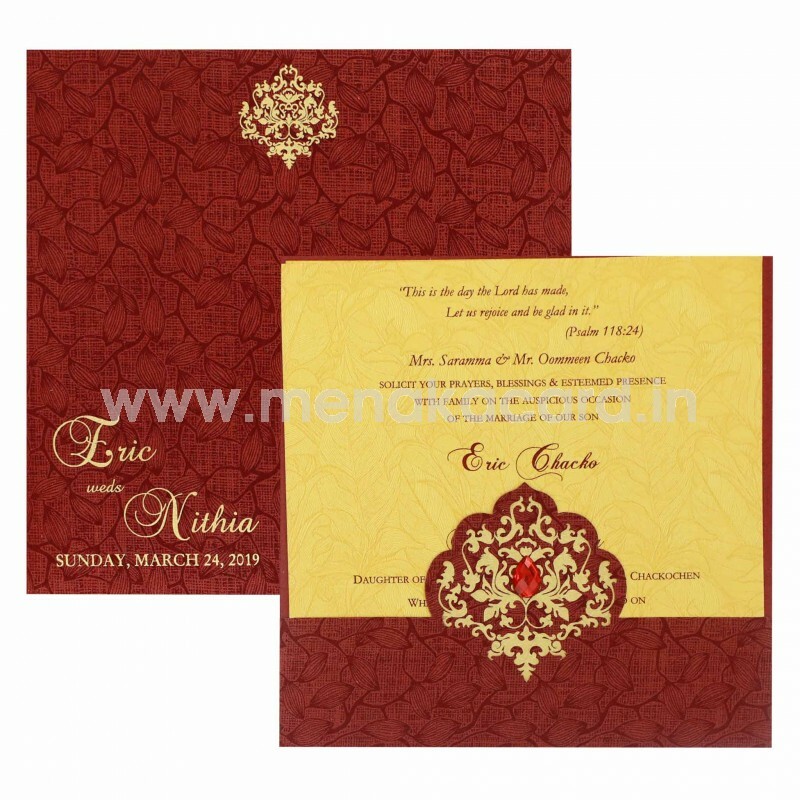 This card has a delicate damask floral pattern with kundan stone pasting in gold and red as the focal point of the pouch inside which two yellow inserts with subtle floral lancers sit printed with contrasting maroon ink made from a metallic board. 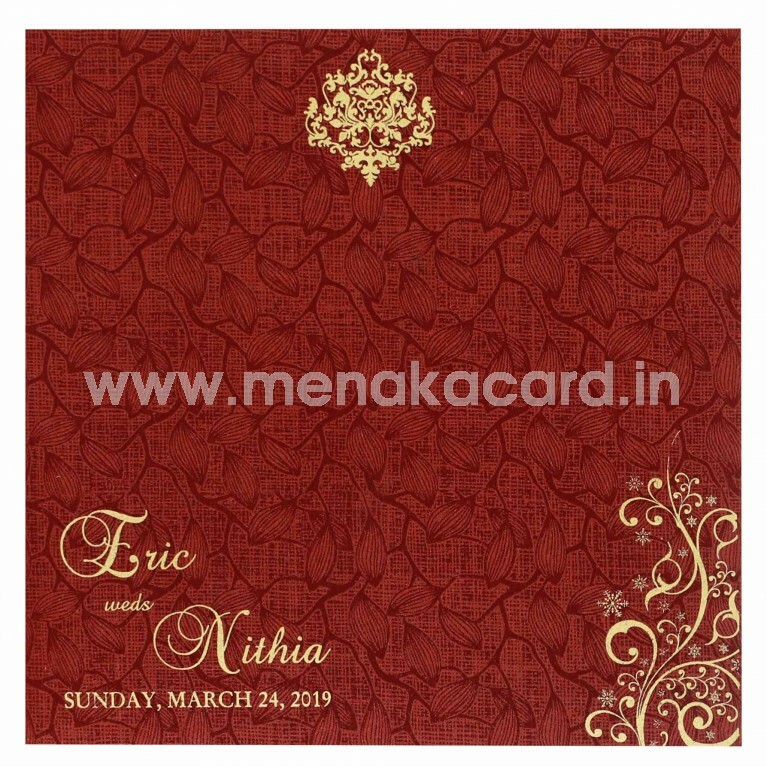 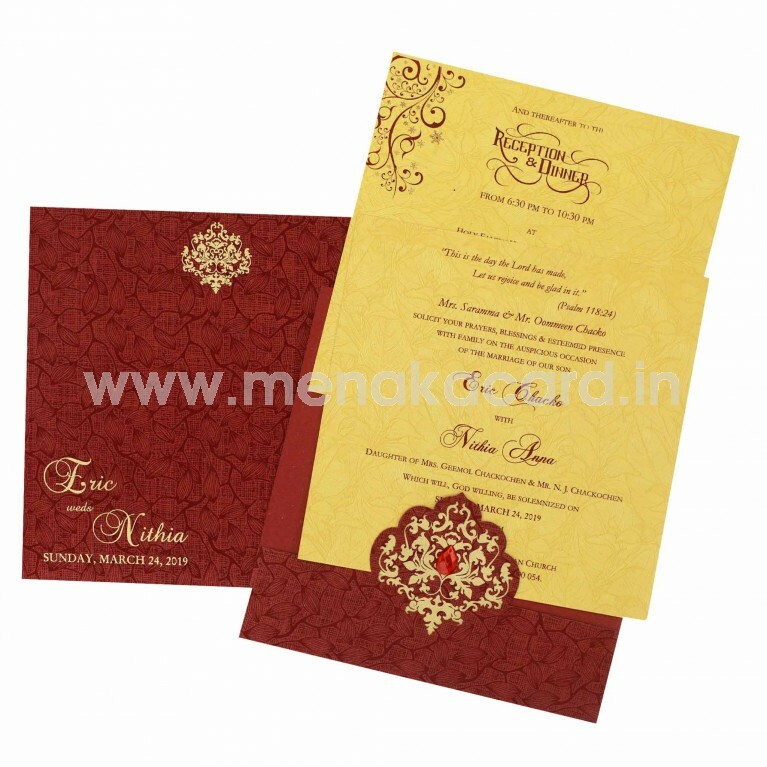 The envelope mirrors the main card in color and material.Generally used for personal invitations to friends and colleagues this can be used as simplistic invitations for receptions and engagements as well.